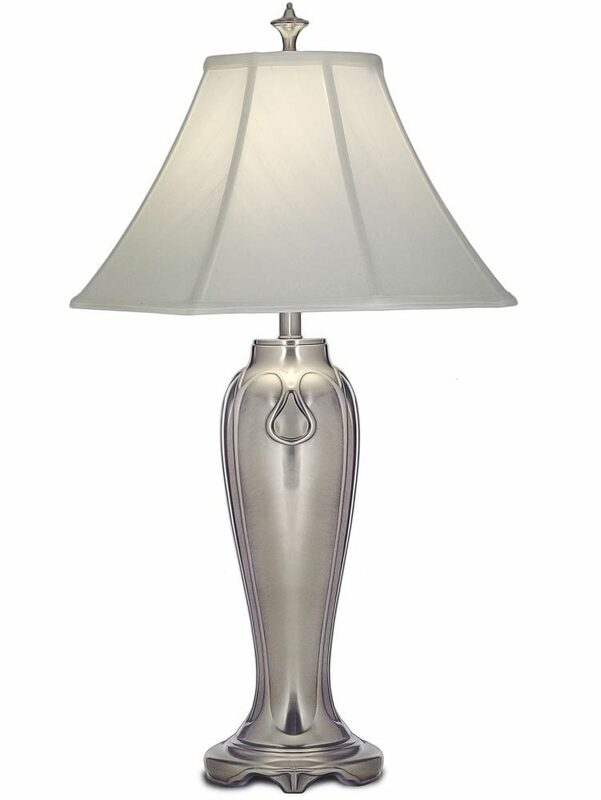 The Stiffel Charleston 1 light table lamp in antique nickel with off white shade is crafted from the finest materials. 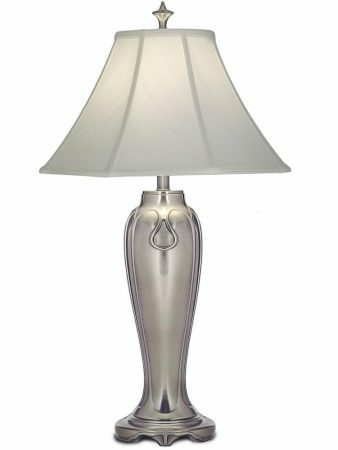 Cast zinc construction, with antique nickel finish plate, this classic table lamp combines integrity of design and hand craftsmanship. Featuring a heavy base and vase, with raised curved panel design and topped with a tapered 18″ off -white silk Shantung shade and finial. 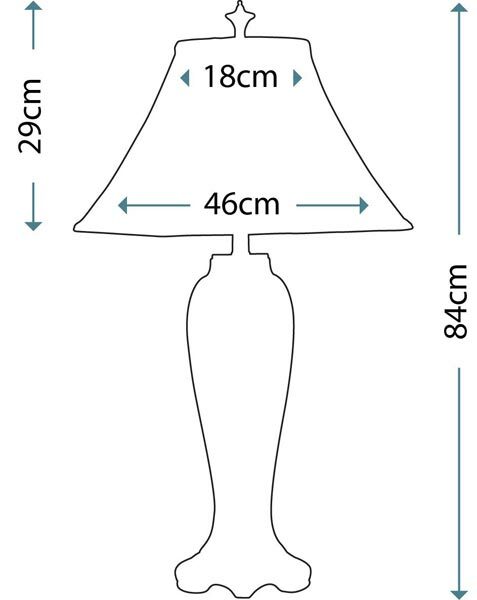 This is a large highest quality table lamp that features exceptional workmanship and classic style. It stands 84cm tall and looks fantastic on a large bedside table, in a reception room, dining room or hallway. Supplied by Elstead Lighting and designed and manufactured by Stiffel in their New Jersey factory. 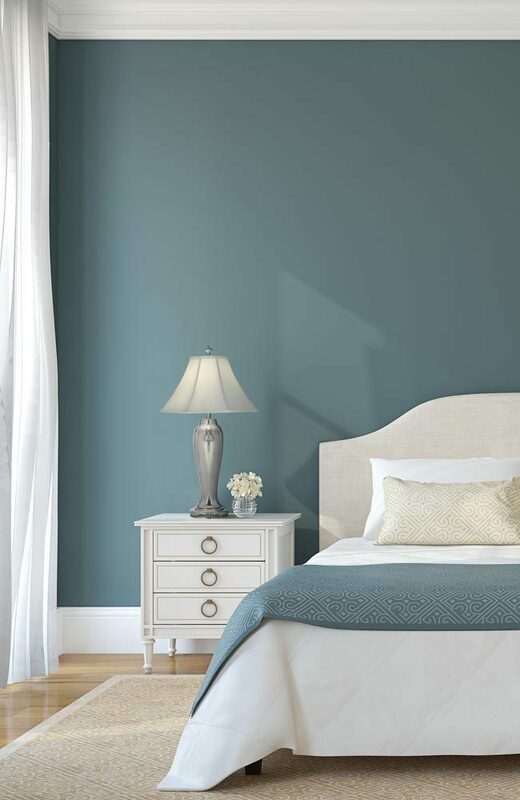 If you take pride in possessing the finest, then Stiffel should be your choice. Precise craftsmanship and exceptional design combine to make lamps such as the Charleston 1 light table lamp in antique nickel with off white shade you see here.